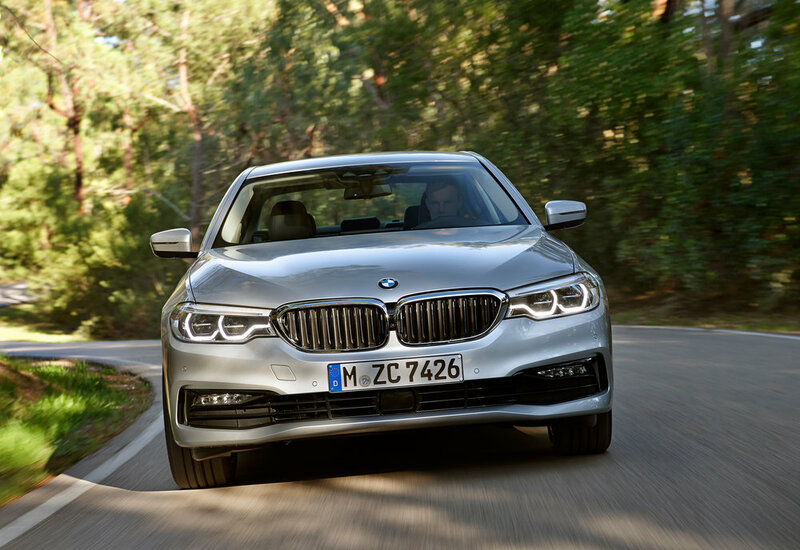 BMW has confirmed a plug-in hybrid variant of the all-new 5 Series will be added to the range in March next year. Featuring technology derived from the BMW i brand, the German brand says the new 530e iPerformance Saloon offers ‘a dynamic driving experience with exceptionally efficient performance’, as well as all-electric mobility with zero tailpipe emissions. 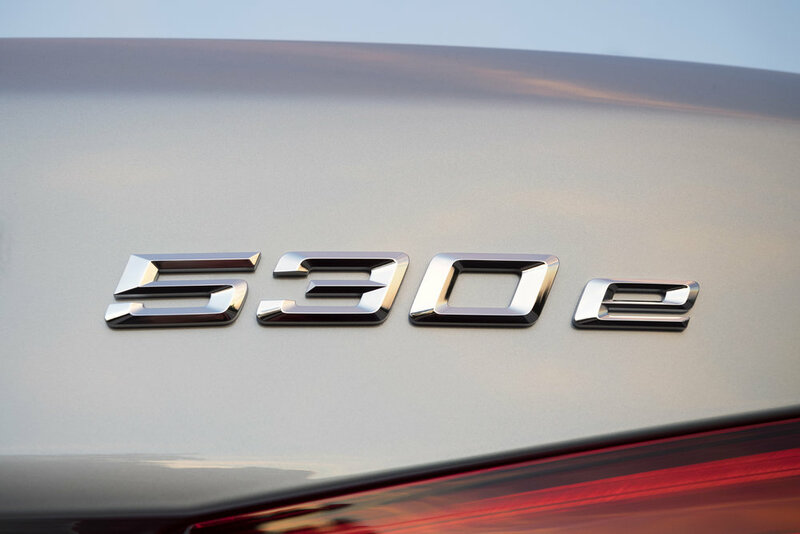 With a total system output of 252hp, the 530e Saloon achieves a combined fuel consumption of 141.2mpg and a combined electricity consumption of 9.2kWh with CO2 emissions of 46g/km. The BMW eDrive system’s electric motor has an output of 95hp and maximum torque of 250Nm, while the 2.0-litre, four-cylinder combustion engine generates 184hp and 320Nm of torque. The overall combined peak torque of 420Nm allows the new 530e to sprint from 0 to 62mph in 6.2 seconds and on to a top speed of 146mph. BMW are promising a range of nearly 400 miles in real-world driving for, and up to 29 miles in pure electric mode, at a maximum speed of 87mph. The electric motor and combustion engine send their power to the rear wheels via the standard eight-speed Steptronic transmission. A high-voltage battery pack has been placed in a space-saving location underneath the rear seats, and comes with ‘efficient refrigerant cooling with a highly integrated low-temperature circuit’. This placement of the battery pack aids boot space of 410 litres and a flat load compartment floor. The battery can be fully charged in under five hours from a standard domestic power socket and in under three hours if it is hooked up to a BMW i Wallbox (3.7 kW charging capacity). As well as a Driving Experience Control switch - with a SPORT, COMFORT and ECO PRO settings - those behind the wheel will also find an eDrive button which lets them tailor the BMW eDrive system’s operation 'even more precisely' to the journey ahead through three driving modes: AUTO eDRIVE, MAX eDRIVE and BATTERY CONTROL. AUTO eDRIVE ensures that the engine and electric motor interact to optimum effect in all driving situations and allows an all-electric top speed of 56mph. This mode is automatically activated as the default setting every time the vehicle is started. MAX eDRIVE means the car drives on electric power alone, using the electric drive’s full power and can attain a maximum speed of 87mph. BATTERY CONTROL mode lets the driver set the charge level for the high-voltage battery manually. The target value can be adjusted to between 30 and 100 per cent of maximum charge, allowing that proportion of the battery’s capacity to be reserved for all-electric driving at a later point in the journey. Design wise, blue kidney grille slats, blue wheel hub covers, the charging socket located between the front wheel arch and the A-pillar on the driver’s side, the “eDrive” emblems on the C‑pillars and the “530e” badge on the boot lid are the most noticeable identifying features of the plug-in hybrid variant. As in all the other models in the new BMW 5 Series line-up, the navigation, telephone, entertainment and vehicle functions grouped within the standard high-resolution 10.25-inch display, and the 530e also includes a range of assistance systems which can also be used when driving in eDrive mode. These are not only important at critical moments but also in less demanding situations at the wheel, such as traffic jams, slow-moving traffic and monotonous stretches of motorway. New features include Crossing traffic warning and Lane Change Assistant, while Lane keeping assistant offers active side collision protection. BMW says it is also the first carmaker to offer Microsoft Office 365 users an on board, secure server connection for exchanging and editing emails, calendar entries and contact details thanks to the car’s built-in Microsoft Exchange function. Addresses from appointments can be imported straight into the navigation system and telephone numbers on the Office 365 address book or within meeting invites or email text can be dialled directly from a linked phone. Prices for the new BMW 530e will start at £43,985 OTR when it becomes available to order from mid-January.